So I alluded in my recent ‘I’m back’ post to the fact that we are close with our donor. So we entered into this donor / recipient relationship knowing that we both were open to contact but that it may be a hard thing for the donor and his wife. June 2015 – Boyboy is born. Between then and December 2015 we have contact via the clinic that is sporadic and mainly me contacting them to send photos and ask for some info about Maori heritage. December 2015 – We send them about 8-10 pics of the boy and his life – is as a family, his grandparents, where we all live etc. They are thrilled and send us back (via the clinic) a lovely email and photos of themselves and the donors family. January 2016 – I follow up with the clinic counselor and again offer that we are willing to have direct contact with them whenever they are willing and on their terms. (We understand it may be nothing but positive for us but may be challenging for them.) counselor promises to talk to both couples to establish a plan. Then she doesn’t! April 2016 – I finally pin the counselor down and ask again that she contact the couple and offer our details. July 2016 – She finally does and gives us their email address. July 2016 – We begin corresponding by email – still anonymous & sporadic as the donor’s wife is leaving it up to him to reply! July – September 2016 – emailing very intermittently. Then the wife says she is coming home to NZ for a few days (they live in Australia at present) and I suggest we break the ice by skyping – just us 3 women. So we go online nervously at 9.15pm on a Fri night … and talk till 2.20am! It’s amazing and she’s lovely and we share our stories and she tells us a lot about her husband and we all get on brilliantly. She shows us some photos of her husband at our boy’s current age and you would swear they were black and white photos of our son. September 2016 – a week later and it’s our turn to Skype with a very nervous donor. He has a few beers and we need up skyping for nearly 3 hours. He’s a cool down to earth guy, really like the Maori boys a grew up with. He’s fascinated with my wife’s Caribbean accent! We tell him that we call him Boyboy’s Dad and he’s stunned and thrilled. September 2016 – the following day we Skype with the Boy and the both of them. It’s amazing and Boy is entranced, as is our donor and his wife. September – December 2016 – we Skype fortnightly for about 4 weeks then drop back into less regular contact but the wife and I txt & send photos regularly in various ways. We talk about them often to the Boy and he has photos of them printed onto photo blocks on his shelf that he carries around. He interacts with them on Skype and on phone calls. December 2016 – they arrive into NZ for Xmas holidays & we’ve discussed meeting up (since July) but we haven’t pushed as we want to leave it up to them…. December 17 2016 (aka tomorrow) – Boyboy’s Dad and his wife (who we have a special nickname for) are coming to meet us all!!! So freaking excited! I’ve been cleaning the house for a week lol. Boy is all prepped and excited as we’ve said his Dada will be coming to visit in a big flash car and he keeps pointing to the picture of him and pointing to the driveway and saying brmmm brmmm lol. I’ll update when I can! But don’t hold your breath as you know how slow I can be. That is awesome! I like hearing about how other families negotiate relationships with open donors. Hope it goes well for you all. J will be meeting her donor in a few weeks here in nz as well! Oh yes oh yes – I was thinking of you just the other day. Our donor and wife are staying with a friend in the location where your donors mother (?) lives & it reminded me of that connection with you. Will you still be visiting and do you want to come say hi??!! I would so love to meet you 3! We’d love to meet you all, too! We’ll be in the area in a few weeks – I’ll shoot you an email. Oh wonderful! In so jealous of all you North America / Canadian wāhine catching up! I absolutely love this! We have a very special relationship with the. Boys do or siblings…in fact several of us are renting Beach house to stay at Pride Family Week in Provincetown, MA. So excited for you all and this beautiful relationship…. Oh wow that sounds neat to meet donor siblings. Our boy has one (a girl 6mths older) but the mother hasn’t wanted contact so far (we reached out through the clinic). So excited for you all!!! Relax and have fun and keep it simple. We recently got that book from the library, it’s pretty silly. Wasn’t there a way to see pictures? Yep we are pretty relaxed after all our prior contact. 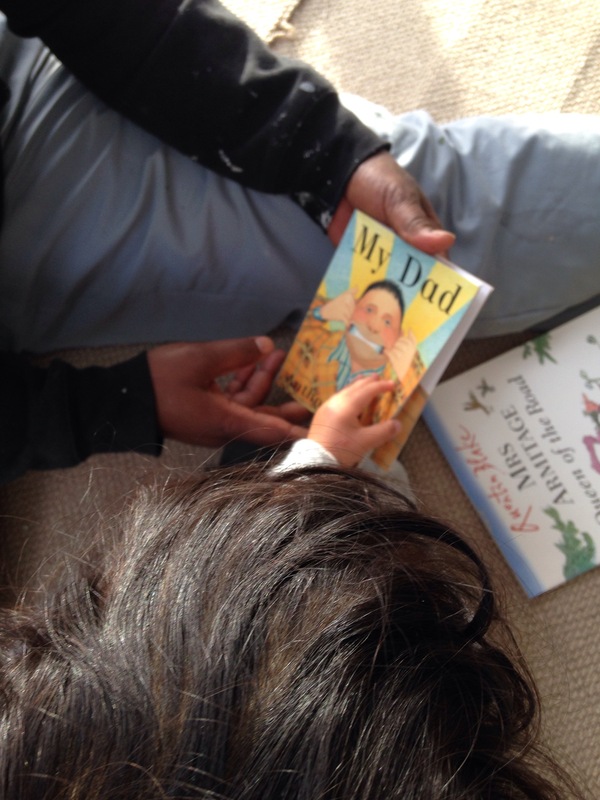 We actually really like the book as we love that author and his illustrations are clever but the main reason is that I like how it doesn’t insinuate that the dad lives with the child or is with their mum – so I think it works really well for our situation. Oh that is a really good point! It just talks about the dad but not in relation to other family members. Oh and pictures? Do you mean to do with the book or of the donor or…? Of you all and Boy! I searched my email to see if I had the password before but couldn’t find it. Oh no I haven’t done a post yet! I’ll send you the password when I do. When you have more data!